Coley, at left, works the body. Hayward, California’s Aaron Coley (14-1-1, 6 KOs) defeated Dashon Johnson (22-21-3, 7 KOs) on Saturday night at the Emerald Queen Casino in Tacoma, Washington, out-working the more experienced journeyman over ten rounds in the middleweight main event of Brian Halquist Productions’ Battle at the Boat 110. Johnson, at right, lands on Pinell. 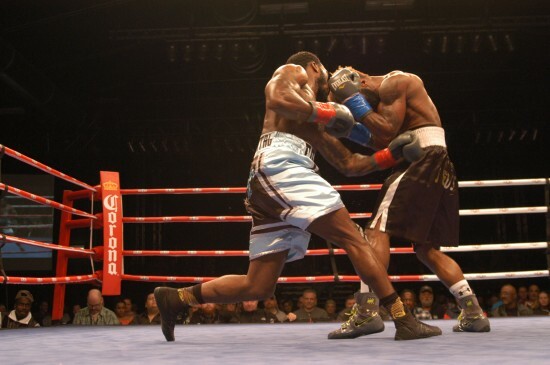 Friday night at the Emerald Queen Casino in Tacoma, Washington, Dashon “Fly Boy” Johnson (22-20-3, 7 KOs) punctuated an entertaining middleweight fight, stopping San Francisco’s Ricardo Pinell (14-3-1, 8 KOs) in the tenth and final round. A right uppercut mid-way through the last round left Pinell wobbly, prompting his corner to step up onto the ring apron, calling an end to the contest. The bout served as the main event of Brian Halquist Productions’ 109th installment of the long-running “Battle at the Boat” Series. A victorious Johnson holds up his title belts (photo by Mike Blair). 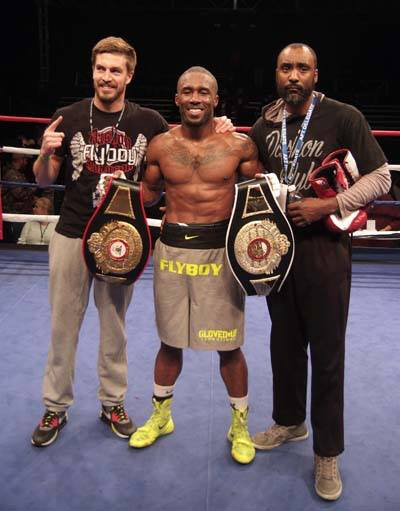 Current WBA-NABA US Super Middleweight Champion Dashon “Fly Boy” Johnson is set to return to the ring this Friday at the Emerald Queen Casino in Tacoma, Washington. 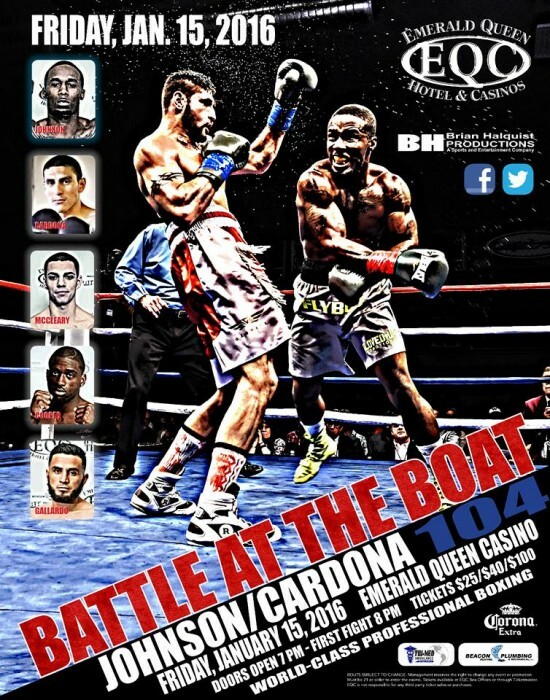 In his first fight back since his title winning effort against Mike Gavronksi last November, Johnson will headline Brian Halquist Productions’ Battle at the Boat 104, taking on the hard hitting Izaak Cardona in the ten round main event. 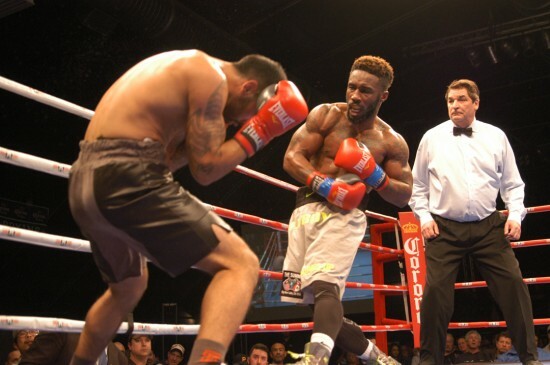 TACOMA, Wash. – The last time Dashon Johnson stepped inside a boxing ring he pulled off an upset by defeating Mike Gavronski for the WBA-NABA United States Super Middleweight championship.